Someone once said, ‘a good rug can make a room’. It was me. I said it, just then – and then quoted myself because I really do believe it. These pinwheel braid weaves from Armadillo&Co are definitely room-making rugs. 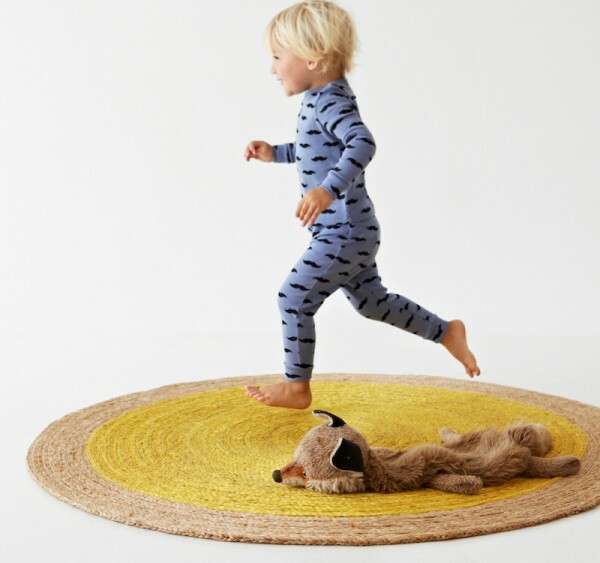 When you have kids running around it can be hard to find a rug that really works. One that can stand the strain of little feet and rolling toys while still looking good. 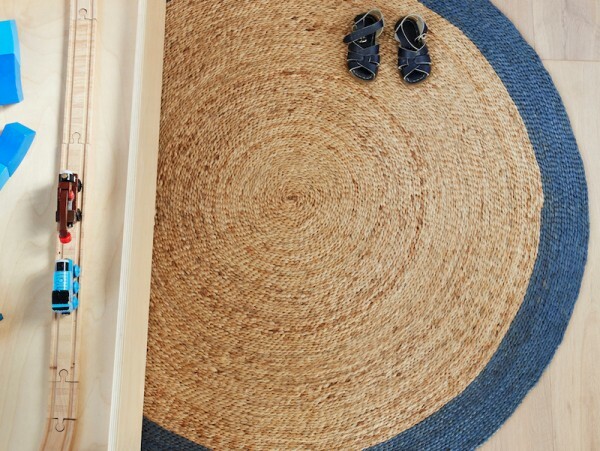 Made from hardwearing (but soft) hemp, these Pinwheel Braid Weave rugs definitely know how to maintain their appearance while they’re having fun. 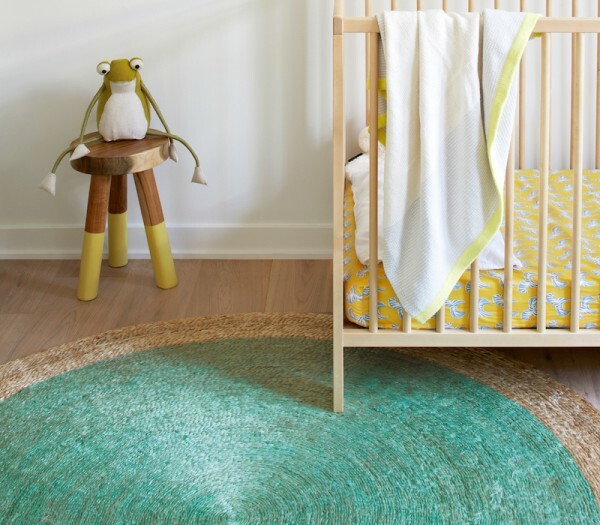 The rugs come in three bright colour options, and would be great in kids’ rooms and play areas. All three colours are funky, but my personal favourite is the Neptune Rug with a natural border. The rugs are hand braided, coiled and stitched in India from Bangladeshi hemp. Prices start from $365 for a 1.22m diameter pinwheel from Hunting for George.